Moving in a new home can be one of the most exciting experiences of your life. You get to take all of your favorite furniture from your old home and move it to your brand new space. You also get to get all new things to make your new space look exactly how you’ve always wanted it to. Moving can also be stressful with packing, planning and moving. Liberty moving can help take some of that stress off of your back by handling your residential move. We are a responsible licensed and insured Alabama moving company. We offer comprehensive services guaranteed to meet any of our customers’ moving needs. We provide both local and long distance moving services. This means that whether you are moving down the street or you’re moving across the country, we have you covered. You can rest easy knowing that we will take care of your items like they’re ours. We can simplify it with a full service move.  Whether you need a full service move, packing/unpacking, loading/unloading, moving, storage, delivery or a combination of any services, Liberty is your best option. We hire only 5-star movers in the Birmingham and surrounding areas. Many of our residential movers have a minimum of 5 years experience in moving, storage and residential deliveries. We use only use the newest top of the line equipment for our residential moves. Heavy duty moving pads, dollies, and appliances ensure that your property doesn’t get damaged during the move. What are the steps leading up to your residential move? You don’t want to look at the contract too late and realize your move out date is coming up faster than you anticipated, confirm the date far in advance so you are prepared. Moving out of your residence, make sure your contractual obligations are far before the move so you have the materials and necessary changes made far in advance. Pack all of your belongings in advance so the when the moving company or other moving helpers can get started. This includes clothes, dishware, mirrors/artwork, smaller items(books, tools, spices, cookware, etc). During the packaging step get rid of clothes you don’t wear, appliances you don’t use, etc. Selling them on craigslist or other means can help fund the move as well. this includes gas, electric, water, TV cable, and internet. This way you don’t go a day without the essentials in your new home. We recommend using a professional moving company like us, because by doing so you skip 6 steps compared to renting a truck yourself. Renting the moving truck either via phone or online. Picking up the truck the morning of the move. Driving the truck to your new location. Unloading the truck at the new location. This will be the last step if you have hired a moving company because all of your large items will be unloaded and placed in your new home for you. Unpacking can also be skipped if your company provides it. Fill out our Free Quote form today, and compare us to the competition! Wrapping, packaging, boxing, customized packing options. Goods or belongings to be transferred, disassembly for necessary furniture, items or appliances. Let us load your rental trucks, POD’s or storage units with or without a full service move from us. Business relocation locally, intrastate, interstate, long distance or internationally. Our professional moving transport trucks are specifically designed for the security of your belongings. Our professionals will safely unload your transferred goods or belongings. We will reassemble anything needing assembly, set and rearrange any all pieces to your liking. Let us unload your rental trucks, POD’s or storage units with or without a full service move from us. We also do interior or internal moving. This may mean pieces you need transferred from one area of your home to another. Short or long term, overnight, between moves, with or without any other moving options. Customized storage options available. Private 24 hour protection.